Since the previous policy announcement, the rupee has appreciated against the US dollar and moved above the crucial mark of 70. New Delhi: The Reserve Bank is likely to maintain status-quo on interest rate in the upcoming monetary policy review on December 5 despite moderation in economic growth and easing inflation, opined experts. After back-to-back hikes since June, the RBI had kept interest rates unchanged in the previous policy review in October, surprising markets that had expected a rate hike to support the tumbling rupee and combat inflationary pressures from high oil prices. The repo rate, at which RBI lends to other banks, was left unchanged at 6.50 per cent. The MPC’s decision will be announced in the afternoon of December 5. Since the previous policy announcement, rupee has appreciated against the US dollar and moved above the psychologically crucial mark of 70. Global crude oil prices too have softened significantly, slipping below USD 60 per barrel from USD 86. However, India’s economic growth slowed to 7.1 per cent in the September quarter after peaking to an over two-year high in the first three months of this fiscal, as consumption demand moderated and farm sector displayed signs of weakness. The growth in Gross Domestic Product (GDP) in July-September is the lowest in three quarters but better than 6.3 per cent in the same period of the previous year. The Indian economy had grown by 8.2 per cent in the first quarter of the current fiscal year that began in April, according to data released by the Central Statistics Office (CSO). Kotak Research said the MPC in its last policy had estimated inflation at 3.9-4.5 per cent in the second half of the fiscal and 4.8 per cent in first quarter of next year. 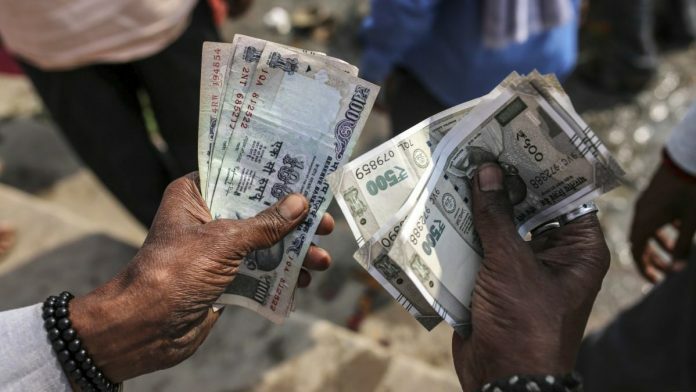 It expects the inflation at 2.9-4.3 per cent in the second half of the fiscal and 4.5 per cent in first quarter of 2019-20. “The softer-than-expected inflation prints are on the back of benign food inflation, especially as most kharif crop prices remain well below the MSP prices. “While softer retail fuel prices will push core inflation lower, there will be significant divergence from headline inflation mainly on the back of higher prices of education and health,” Kotak Research said, adding that it expects RBI to maintain status-quo. Devendra Kumar Pant, Chief Economist, India Ratings and Research (Fitch Group), said 2018-19 may still end up with a GDP growth of 7.3 per cent and “RBI may get the much needed elbow room to keep the policy rate unchanged in the forthcoming bi monthly policy review on 5 December 2018”. Retail inflation based on Consumer Price Index (CPI) fell to a one-year low of 3.31 per cent in October on the back of cheaper kitchen staples, fruits and protein-rich items, as per latest available data.